Media mogul and longtime internet adversary Rupert Murdoch today released a statement calling on Facebook to begin paying trusted publishers. Even a broken clock is right twice a day. The memo calls on Facebook to begin paying a carriage fee, much like the model used by cable companies for networks like CNN and ESPN. “Trusted” publishers would receive a take of overall revenue in exchange for increasing user trust on the platform. After CEO Mark Zuckerberg publicly declared war on misinformation and sensationalism after the 2016 US Presidential Election, he echoed those sentiments with the social network’s most recent statement last Friday. The statement outlined Zuckerberg’s plans to use member surveys to find “trustworthy” outlets, a move many journalists are criticizing. It’s ironic, really. Facebook admits there’s a problem in trying to educate the public about trustworthy news sources. But at the same time, it’s trying to place the power of deciding which outlets are legitimate into the hands of the users. The users with the problem discerning the difference between The New York Times and InfoWars. 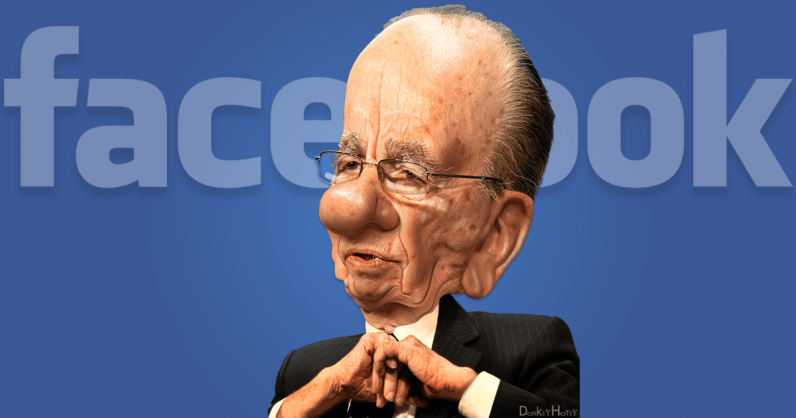 Murdoch’s plan isn’t half as crazy as Zuckerberg’s.